I’ve read rather more books than usual this year thanks to the Blind Date With A Book project at school. It’s only now that I have realised how many I’ve churned through so perhaps I should review those too, separately. Needless to say, I have read quite a few books I would never have thought to pick up and that is pretty much how I chose the books I took on holiday. Like last year’s reviews, I’ll try to give my opinion without giving anything away. One of the things I’ve enjoyed with all these books (and the Blind Date ones) is coming to them completely cold and hopefully the feeling of finding something great. We booked our holiday six days before we were due to leave and I suddenly realised I hadn’t thought about books to take. I can’t quite remember my process, but I basically chose four books on Amazon that had good reviews and I thought Howard might be interested in (might as well double up if you can help it). Last year I unintentionally read books with a vague ‘crime’ link. This year I seem to have gone with a sort of (mental) health theme – albeit quite loosely. There’s only one of the six I ended up reading that I wouldn’t really recommend, but I’ll get to that in a bit. So. The books. This was actually one of the staff Blind Date books. I’d thrown it into the mix because we hadn’t had enough staff nominations and it had just won the Costa Book of the Year award so I figured it wasn’t going to be completely rubbish. It hadn’t made it back to the shelf in the staff room so I thought I’d pop it in the basket and give it a go. The book is written from the point of view of Matt and pretty much starts with the death of his brother. The book follows how this has affected Matt into adulthood and because it is being written by him, it allows the story to be told with a depth and honesty that portrays mental health as a very human experience. Different typefaces are used to indicate where Matt is at a particular time and this is done well, without being a distraction. The author, Nathan Filer, is a registered mental health nurse and it is clear that he knows the subject matter and genuinely understands not only the processes a character like Matt might go through in these situations, but how this impacts on a family and the wider circles of a community. 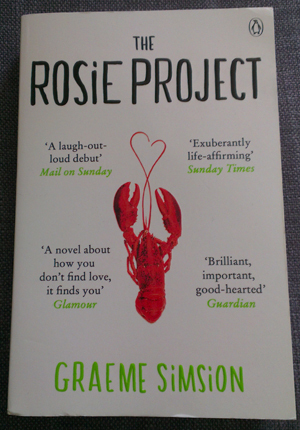 There were moments of humour and moments of raw honesty, and I was completely absorbed by this book. This is the one I wasn’t so keen on. There are lots of recommendations splashed on the cover and it’s a bit of a whodunnit so I was looking forward to it. The book starts with a wife who goes missing on the morning of their wedding anniversary and a husband who is in the frame. It’s not a conventional thriller and the author twists and turns the story so you are never quite sure who is telling the truth and who is lying as it switches from the husband’s real-time account and entries from the wife’s diary. If I’m honest, I found the first half of the book a bit of a slog and quite irritating and only stuck with it due to the emergence of a good twist. Obviously I’m being cagey about it, I’m not going to spoil anything, but from the book picking up pace I was then left disappointed with the end. It was an interesting format and I’ve not read anything like it before. I don’t regret reading it but I don’t know if I’ll rush back to the author. I think it’s one to borrow or buy second hand rather than fork out for and if you don’t think you’ll ever read it but I’ve piqued your interest, I’m happy to tell you what happens. I loved this. Howard found me very irritating as a was laughing constantly at this beautiful journey through life with Don Tillman; the man with Asperger’s who doesn’t realise he has Asperger’s, and sets out to find a wife in a perfectly logical manner using a sixteen-double-sided-page questionnaire. This of course isn’t something that can be done in a logical manner and makes for a wonderful story that is more than a joy to read. 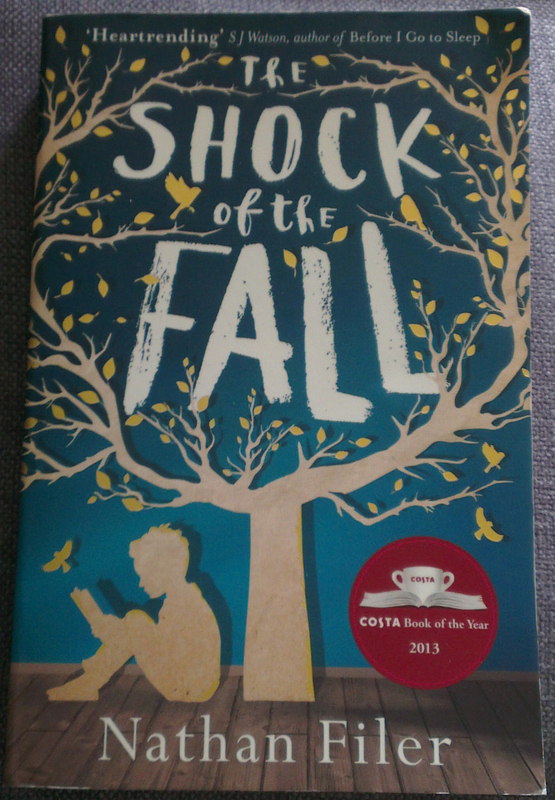 It’s not a book about Asperger’s – I don’t want that aspect to put any one off reading it. It’s just the reason for the scientific, logical personality of Don which then contrasts with Rosie, the inevitable female lead. The balance is perfect and the story does follow a sort of quirky rom-com path. The fact that we, as readers, can see what is happening for most of the time doesn’t matter because Don is always completely oblivious. I really loved this book and I recommend it whole-heartedly. I know there’s a follow up coming soon and I’m sure some film studio’s bought the rights, but I would love people to read the book because it’s thoroughly absorbing and to be honest I still miss Don a bit. Howard read this first. It was his Blind Date book from me – I just chose the one that was at number 4 in Asda’s book chart. We’ve obviously read the Harry Potter books but neither of us have read ‘The Causal Vacancy’ so it was our first foray into JK Rowling’s adult writing. 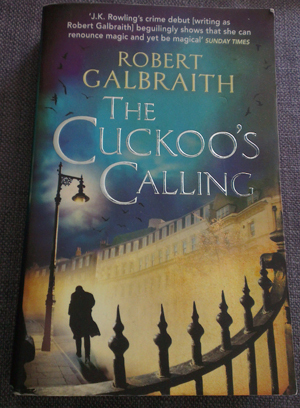 This is a proper crime novel, and with the promise that it’s the first in a series of books following private detective Cormoran Strike, this book serves as an excellent introduction to what I hope will become the main set of characters throughout the series. The story is one of a supermodel suicide. The brother doesn’t believe she killed herself and gets Strike in to investigate. In some ways, the plot didn’t matter too much for me a I felt I was getting to know the main characters and how they interact with each other. There are moments where the characters appear to fall into the stereotype – the smoking, failed relationship, ex-army detective (with added quirks of a lost leg and a rock star dad), but I didn’t let it bother me as the story flowed and turned into an easily read novel. It’s a definite adult book and there a few c-bombs here and there – nothing gratuitous though and in fitting with the characters, I actually think it’d be quite nice if the whole JK thing had been kept secret for a bit longer. It’s a good book with a clever storyline and I’m looking forward to getting back in with Strike and reading the next one. I got this for either Christmas or my birthday so I’ve had it for a while. 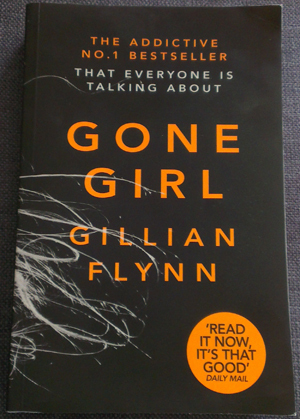 I actually started it just before the summer but I didn’t want to take it on holiday because I’d have finished it fairly quickly and why waste luggage allowance on half a book when you can take a whole un-read one. I enjoyed The Men Who Stare At Goats and I like the sort of journalistic-storytelling style with which he writes. That was probably offensive – I didn’t mean it to be. 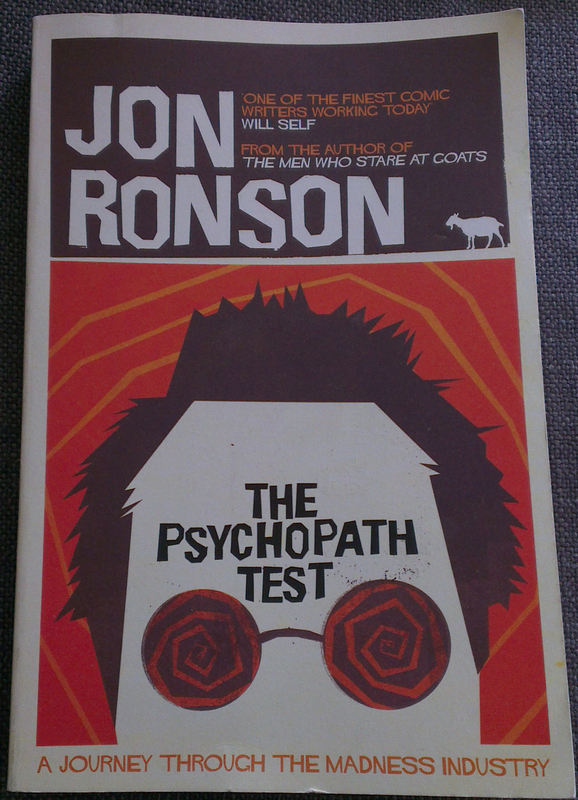 The Psychopath Test is an interesting book that tracks Ronson’s investigation into the world psychopathy – including talking to people who diagnose, people who have been in prison and people who deny that any of it exists. I am aware that this is a book that has been criticised by various sources and I at no point took what was written here as a definitive ‘guide to the psychopath’. I did however enjoy the book. I think it is more an investigative journey that Ronson has taken – as he comes up against a question he hs attempted to answer it. He’s spoken to people from different backgrounds and the book is written in an entertaining manner. There is no glorification of any of the medical conditions talked about, but it does ask some interesting questions that I would hope anyone who reads the book might want to answer by taking up their own exploration of the subject. This was brilliant. This was my couldn’t-put-it-down book. I got cramp in my knees from sitting cross legged on the sofa reading this and as it’s a hearty 900-pager I got aching wrists from the sheer weight of it. This is definitely not the sort of book I would ever choose to read if someone described it to me. I’ve been rubbish at describing it to people so far so ignore my description and read it anyway. I believe the film rights have been bought for this one too but I think I can picture the trailer and it’s really not a film I’d be bothered about seeing. It enters the world of super intelligence where people don’t exist and the things they do never happened. The central character was the head of such a force and has now retired. The book starts with a murder in a hotel room and goes on to take us round the world as we find out about Pilgrim’s past and how he deals with the future. 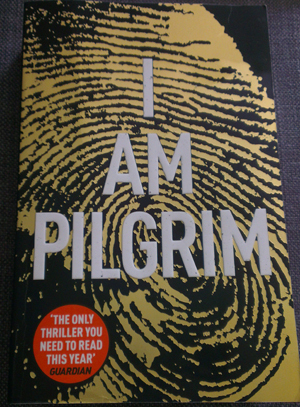 Alongside Pilgrim’s story is one of another man set on a very different journey. That really tells you nothing, but I don’t want to tell you. Like I said, I’ve not been able to describe it successfully so far – I don’t want to spoil the plot and as I never read stuff like this I can’t even say what else it’s like without risking giving the wrong impression. The book is current and when taken with the news headlines, it’s quite disturbing at times. In with that are characters you can understand and follow the motives of. It’s graphic and human. A fast paced thriller that it is easy to skim over the elements of the story that may or may not be entirely plausible. Also, the chapters are nice and short (which is a joy when you need to go for a wee and have to put it down, but a curse when you decide, just one more chapter…) so the length isn’t really an issue – don’t use it as an excuse not to give this one a go. Links to books are The Guardian Bookshop again because of tax and monopolies etc. (even though I did get some of this year’s from the big A).